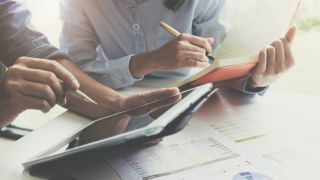 With less than a month to go until Making Tax Digital (MTD) becomes mandatory, compliance has become a frontline business issue for thousands of businesses – and particularly those in the accountancy sector. And with good reason: the new rules stipulate that any company that crosses the VAT registration threshold (currently a turnover above £85,000) must be able to submit their tax returns to HMRC wholly digitally, rather than using the current Government Gateway. That change is going to be significant for companies currently operating without appropriate digital workflows. In turn, that means accountants will have to not only manage their own compliance but also help all their clients to do likewise. Unfortunately, recent research from the ICAEW found that over two fifths of businesses affected still don’t know that they need to comply. There’s a steep hill to climb for some. Businesses now need to be focused on what they need to do and put a plan into action. The good news is, it’s not too late. By following these guidelines, accountants can help their clients register as compliant ahead of the impending deadline. For those in charge of submitting VAT returns on behalf of their clients, the best place to start is by setting up an agent services account with HMRC. You’ll need one of these accounts in order to access the services that comprise HMRC’s digitisation drive, of which MTD is a part. You’ll need one agent services account for each person who’s responsible for a client’s tax admin. This is a key point to address in advance – it’s important to get your agent services account set up in plenty of time if you’re going to get your clients live for MTD before the deadline. It’s also important to recognise that MTD doesn’t use the existing HMRC portal – it’s a new system. As such, you’ll need to reserve time to get each client’s bank details transferred over into the new platform. That’s not a small undertaking - it will take approximately five working days following the last non-MTD VAT return that your client submitted. On top of that, it will also need to be done at least two weeks (in working days) before you go live with MTD VAT returns. In short, timing is essential. Plan your compliance efforts well in advance or risk scrambling to get ready at the last minute. MTD may be a compliance burden in some senses, but it also offers the perfect opportunity for clients to review the way they’re running their bookkeeping. They should see this as a chance to take stock and ask themselves: ‘are we performing these processes digitally or manually?’ If it’s the latter, then it’s probably time for a change. Obviously this will be a big move for some – particularly those still reliant on spreadsheets or pen and paper – but it’s worth it. By keeping digital records of transactions, clients will quickly benefit from the improved financial insights by making that switch, helping them to make better business decisions. Obviously this will be a big move for some – particularly those still reliant on spreadsheets or pen and paper – but it’s worth it. While over the short-term there will be some time investment needed to move records into digital files, it quickly unlocks the door to long-term efficiencies for both you and your clients. Keying in VAT data manually, for example, often requires a huge amount of manual admin which could be handled by software. Systems like Auto Entry and Receipt Bank can help you to save time and improve efficiency and productivity. It’s also wise to take part in an MTD trial in advance of your first live client VAT submissions. Running a test-bed within your own practice is a good way of making sure you’ve ironed out any kinks before going to clients. It’s not only client-facing benefits, either – by adopting MTD-compliant systems in advance, you get the chance to familiarise yourself with the new system before it becomes mandatory. There are two key types of clients that accountants will need to guide through the MTD process. The first is those clients who’ve outsourced their VAT returns to their accountant. The key with these clients is communication – make sure they understand the changes in depth and are ready to provide you with the information you need to successfully manage their finances under MTD. They need to be ready to change the way they record their transactions – by implementing bridging tools, for example, so you automatically receive their transactions. The second type manage their own VAT returns. For them, the question is – do they know what they need to do? It’s easy to feel that it’s not your responsibility, but your relationship with them will take the fall if they fail to comply properly and get a call from HMRC. There are more questions than you might first think. Do they understand when to switch on the MTD software, what their compliance deadline is, which VAT return should be the first to be completed under MTD and the fact that they need to register their own compliance? It’s ultimately your responsibility as their accountant to ensure that they’re fully abreast of these changes and details. There’s still time to achieve compliance before the deadline. By establishing a clear plan and prioritising the urgent tasks, businesses can be ready to go digital for their first MTD return after 1st April. MTD compliance can have major benefits for your business – now’s the time to get on board.